Greetings and my apologies but due various factors, I am banned from long flights for this next month. I salute especially key Convenor Keith Shilkin, Professor Kim Krisner and Ted Graham for stepping up today. ‘The wonderful work of this wonderful man has not been fully appreciated in Australia. I can tell you where is has been appreciated and that is by the people of Great Britain and by the general staff of the War Office. No one pays any attention to the ridiculous statement that Australia won the war but I think that we can say that it was through Sir John Monash and his men, the war finished much sooner than we thought possible. 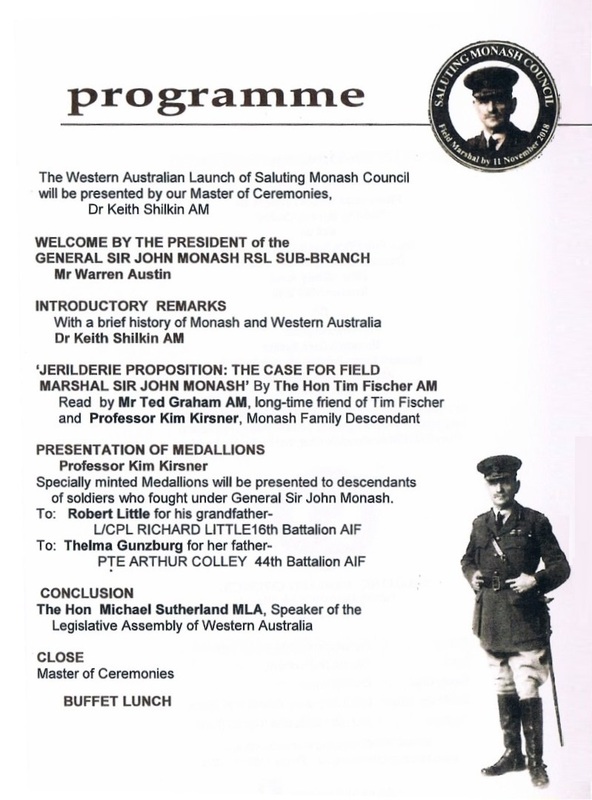 John Monash spent a year in Perth, July 1898 to July 1899, giving expert legal advice re the Mullawa Cue railway line, visiting Kalgoorlie and enjoying Perth society, at the Weld Club and with the Forrest family. Then in December 1914 he commandeered the Second AIF Convoy as it departed from Albany. Finally he unveiled the King’s Park statue in December 1919 when then PM, W M Hughes, allowed him to return to Australia. 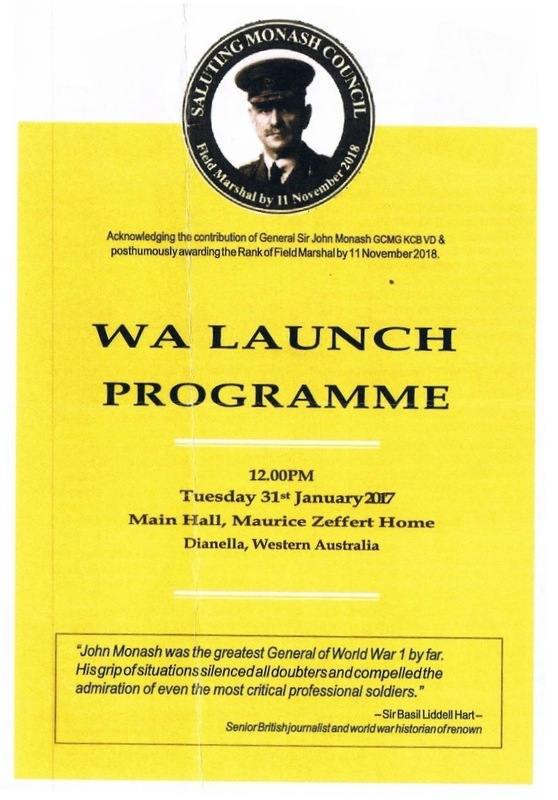 CLICK HERE For coverage of the launch in the WA RSL Listening Post March 2017.